As the issue of climate change continues to advance on the list of global priorities, businesses must develop effective and fact-based strategies to reduce their GHG emissions. For the beverage industry, as for all industries, a critical first step in reduction efforts is to properly inventory all relevant GHG emissions associated with a company and its value chain, as well as the GHG emissions associated with the life cycles of its products. This guidance document does not replace or override global GHG reporting protocols or beverage category-specific rules and protocols. In other words, the BIER Sector Guide is intended to be a value-added, supplementary guidance to primary global protocols, which standardizes calculation steps, provides a directory of data requirements, and creates consensus on boundaries and scope setting specific to the beverage industry. BIER identified that this was an important time to update the previous version of the sector guidance. There were several goals in updating this document, including ensuring alignment with the Corporate Value Chain (Scope 3) Accounting and Reporting Standard and The Product Life Cycle Accounting and Reporting Standard (published by WRI/WBCSD), reflect method changes adopted from the European Union Product Environmental Footprint Category Rules (PEFCR) effort, and further harmonize GHG emissions accounting across the beverage value chain (horizontal alignment) and across all beverage categories (vertical alignment). “This is an important initiative for BIER as it completes a comprehensive, leading-edge approach to GHG emissions calculation and reporting for the beverage sector,” says Nick Martin, Executive Director of BIER. 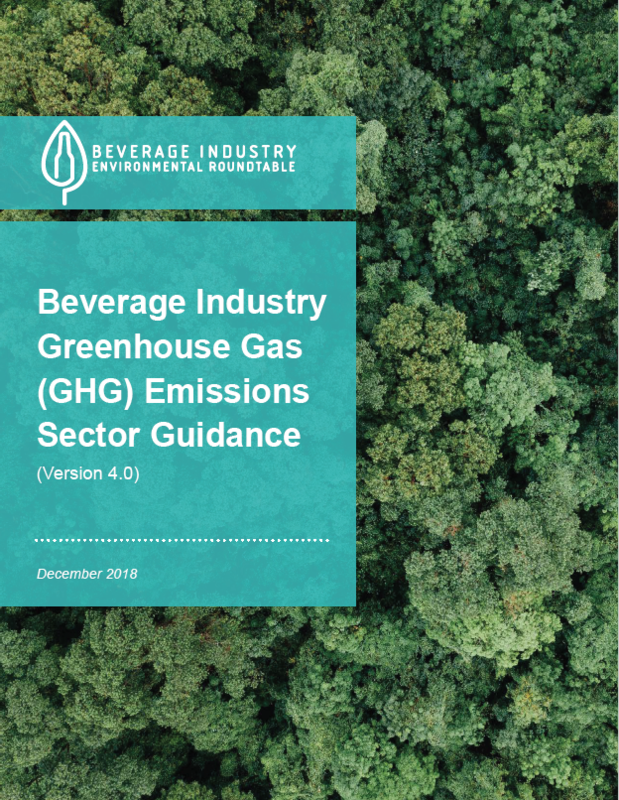 “Maintaining this Sector Guide furthers the aspiration of BIER to establish a ‘common voice’ for the industry and demonstrate the beverage industry’s continued leadership in reducing global GHG emissions,” Martin adds.